Benjamin Disraeli, 1st Earl of Beaconsfield (21 December 1804–19 April 1881), born Benjamin D'Israeli, was a British politician. 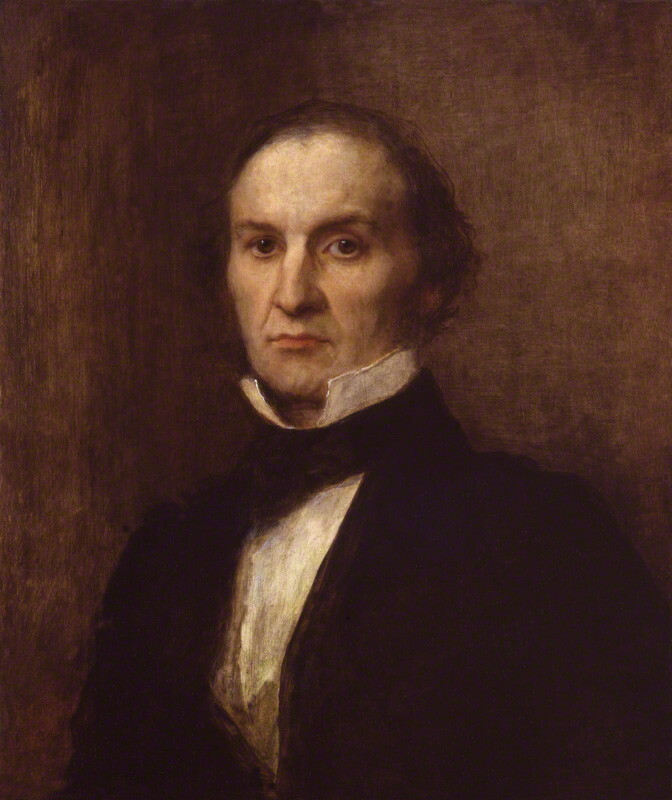 He was Chancellor of the Exchequer in 1852, from 1858–1859 and from 1866–1868 He was Prime Minister of the United Kingdom in 1868 and from 1874–1880. 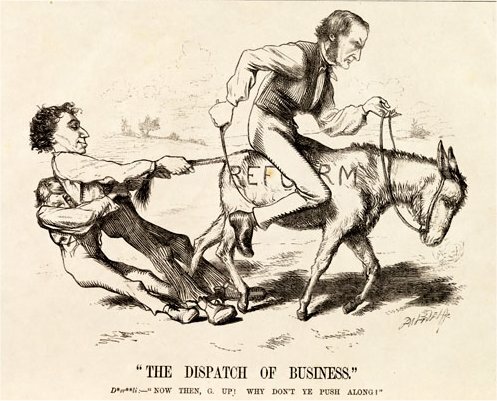 His mainopponent was William Ewart Gladstone. 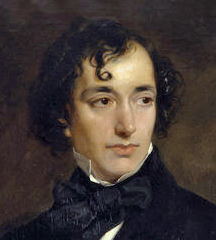 Disraeli was also a novelist and biographer. 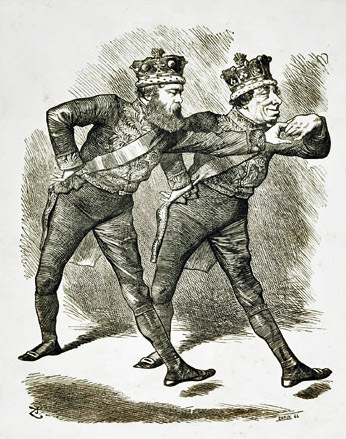 As well as Disraeli's One Nation idea, the Tories were also the party of the Church of England and most of the aristocracy. 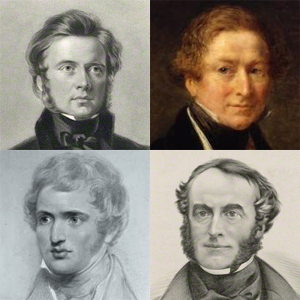 They were supported by the "Young England" group. 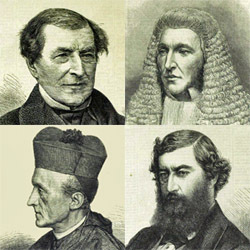 This Victorian era political group was born on the playing fields of Cambridge University and Eton College. 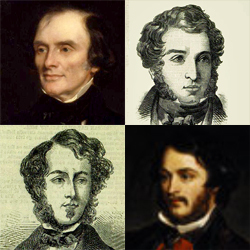 It was a group of Tory aristocrats who had attended public school together. Balancing such widely different groups ("constituencies") is a problem faced by almost all political leaders. 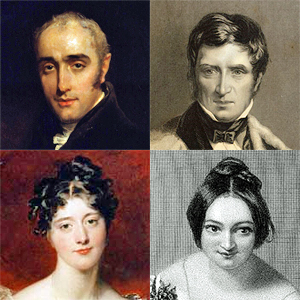 Lord John Manners in 1843, at the time of Young England, wrote "could I only satisfy myself that D'Israeli believed all that he said, I should be more happy: his historical views are quite mine, but does he believe them?" 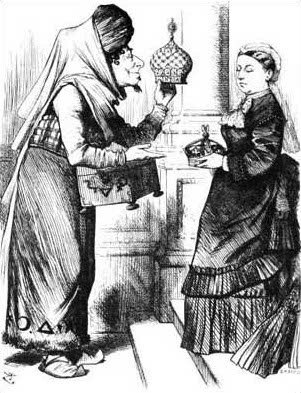 New Crowns for Old depicts Disraeli as Abanazer from the pantomime Aladdin, offering Victoria an imperial crown in exchange for a royal one.Disraeli cultivated a public image of himself as an Imperialist with grand gestures such as conferring on Queen Victoria the title "Empress of India". Benjamin Disraeli Facts for Kids. Kiddle Encyclopedia.